Kohima, Jun 1 : The Mission Director of the National Health Mission (NHM) in Nagaland Sukhato A Sema has informed that the state of Nagaland, with 57 per cent of tobacco users, is the second highest consumer of tobacco in the country. According to an official report on Sunday, Dr Sema was speaking in the observed World No Tobacco Day with a theme Stop Illicit Trade of Tobacco product at the Civil Secretariat Conference Hall, where he said cigarette accounts for 26.3 per cent as the most common form of tobacco consumed in Nagaland followed by other gutkha products. He also revealed that as per the Nagaland School Oral Health Survey 2014 report, 28.3 per cent of school going children are smokeless oral tobacco users while 14.8 per cent are into smoking habits and 41.2 per cent children are engaged by parents to buy tobacco. On the district-wise profile of tobacco consumption, Dimapur has the highest number of consumers, followed by Kohima, he shared. 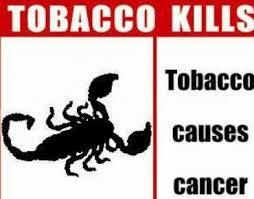 While informing that smokeless tobacco contains 3,095 chemicals, out of which 28 causes cancer and cases of tobacco related cancer are on the rise in Nagaland, Sema informed. He emphasised on the need for the state government to take serious steps towards enforcement of Cigarettes and Other Tobacco Products (Prohibition of Advertisement and Regulation of Trade and Commerce, Production, Supply and Distribution) Act (COTPA) 2003, which prohibits smoking in public places, advertisement of tobacco product in any manner, sale of tobacco product to or by person below 21 years and sale of tobacco product in and around 100 yards of any educational institutions. Dr Sema said that strict enforcement is critical to the success of implementation of the Act. He suggested that ban on sale and consumption of any form of tobacco product during public gatherings or meetings, sporting events and state and tribal festivals would surely help towards bringing down tobacco consumption. Mizoram ranked first with the highest tobacco consumer population in the country where 70 per cent of its people are addicted.